You’re going to want to sit down for this because there’s been some breaking news in the world of Star Wars — but don’t worry, it has NOTHING to do with The Last Jedi. Rather, it turns out one of the most enduring Star Wars memes to ever grace the internet has gone completely over the head of its star. While Rolling Stone‘s recent cover story on The Last Jedi is filled with spoiler-free anecdotes from set and plenty of hype for the upcoming film, buried deep in the article is one of the most important revelations: Adam Driver doesn’t know what “emo” means. 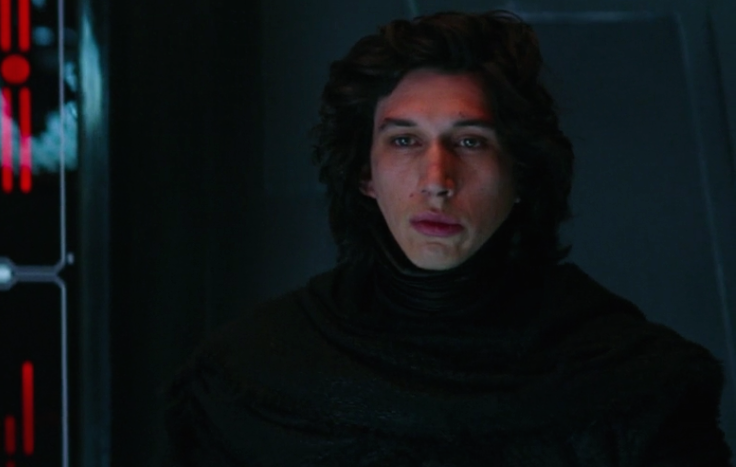 Driver’s portrayal of angsty, emotional villain Kylo Ren in The Force Awakens inadvertently sparked one of the most hilarious — and honestly, very relevant — memes on the internet in, “emo Kylo Ren.” While Kylo Ren’s age hasn’t been specified — yet, according to Driver, though he’s supposed to be late 20s-ish — anyone who saw The Force Awakens will definitely recognize the dark Jedi’s angstiness as something straight out of a 2000s My Chemical Romance or Dashboard Confessional song. you feel like han solo is the father you never had? In the cover story, Hiatt writes that Driver asked him about it, adding that the actor’s time in the Marines and studying at Julliard, caused him to miss out on one of the most important musical genres of the 2000s. "Adam Driver has a question for me. 'What,' he asks, 'is emo?'" writes Hiatt." Between training for the Marines and training at Juilliard to become one of his generation's most extraordinary actors, Driver missed some stuff, including entire music genres. But the rest of the world (including an amusing parody Twitter account) decided there's something distinctly emo about his character, with his luxuriant hair, black outfits and periodic temper tantrums. " The moral of the story is, while Adam Driver isn’t quite sure what emo is, Kylo Ren most definitely is, in fact, still emo. If The Last Jedi doesn’t end with Snoke handing Kylo a guitar and a collection of Taking Back Sunday albums, I’m going to be wholly disappointed. The Last Jedi opens in theaters on December 15th.